Hendrix College, 1963. Prior to forming the Firm in December, 1973, Jim spent ten years in the tax department of an international accounting firm. 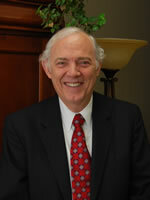 He devotes substantially all of his time to tax planning for clients in the medical field. He has extensive experience in individual and professional association taxation and pension and profit sharing plans. Centenary College of Louisiana, Shreveport, Louisiana, May, 1993. Prior to joining the firm, Alan had three years experience working for one of the "National" accounting firms in Little Rock. He is a member of both the American Institute of Certified Public Accountants and the Arkansas Society of Certified Public Accountants. Alan is responsible for several audit engagements and a large number of tax engagements; he also spends considerable time providing business valuation services to clients and is an Accredited Member of the American Society of Appraisers. Arkansas Tech University, 1998. Kevin joined the firm in June of 2002 with three and half years of experience in public accounting in the Little Rock market. He is a member of both the American Institute of Certified Public Accountants and the Arkansas Society of Certified Public Accountants. 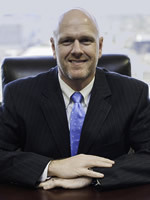 Kevin oversees most of the audits of the Firm, including audits of several large manufacturing clients, non-profit audits, HUD audits, audits of insurance companies, and audits of employee benefit plans. He is also heavily involved in the tax practice area of the Firm. University of Arkansas at Fayetteville, 1981. Ron has over 30 years experience. In 1995, he joined L. Cotton Thomas & Company. He was admitted as a partner with the Firm in 1997. While the majority of Ron’s auditing experience has been with construction contractors, he also has significant experience with banks, wholesale distribution and nonprofit organizations. Ron has previously served on the board of directors of the Arkansas Society of CPA’s, and currently serves on the Society's Peer Review Committee. University of Arkansas at Little Rock, 1973. 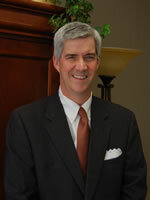 He immediately joined L. Cotton Thomas and Company, and was admitted as a partner in 1977. Lindsay is active in both the Firm’s audit and tax practice. Areas of tax practice include individual, corporate, partnership and estate and trust taxation. Areas of audit experience include construction, transportation, manufacturing and insurance (both life and property and casualty insurance companies, including captives and self insured groups). Lindsay is a member of the American Institute of Certified Public Accountants and the Arkansas Society of Certified Public Accountants. In 1999, Lindsay received the Arkansas Society of CPA’s Outstanding Public Service Award. University of Arkansas at Fayetteville, 1971. 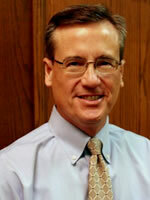 Mike has over 30 years experience both nationally and regionally. In 1979 Mike become a partner in L. Cotton Thomas & Company. Mike has earned the certificate of Educational Achievement in Governmental Accounting from the American Institute of Certified Public Accountants. He continues to receive continuing education in governmental accounting that meets or exceeds the requirements of Governmental Auditing Standards and OMB Circular A-133. Mike is a member of numerous professional organizations. In addition, he is active in the community. 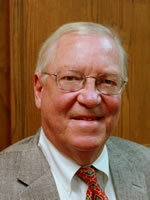 He served as a consultant to Wildwood Park for the Performing Arts. He received the Volunteer of the Year award from the National Easter Seal Society, and served for over 20 years on the Easter Seal Arkansas Board of Directors. 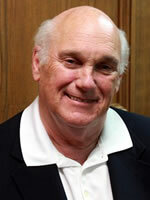 He is an active member of his church and other community organizations.